Walked into a room and had no idea why you were there? Stopped mid-sentence because your mind had gone blank? Then you may be experiencing menopausal symptoms without even realising it! 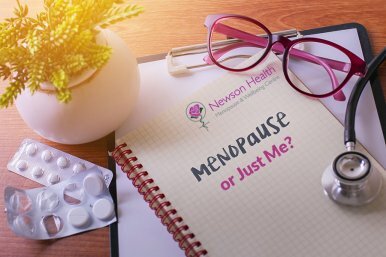 The Menopause is a natural stage all women will go through; some will barely notice any differences while others may experience quite debilitating symptoms that affect every aspect of their lives. Luckily most of us are somewhere in between. Diane Porterfield is a Nurse Practitioner with a special interest in menopause and often sees ladies in clinical practice who have some or all of these symptoms but haven’t considered that the menopause may be the cause. Diane has been providing Menopause awareness talks all over the county and is helping raise awareness of the menopause in order to educate, explain matters in easy terms, and offer lots of practical advice on how to feel better. It is time to start talking and seeking treatments that can dramatically improve your quality of life now and for the future!